The book tells the stories, interwoven with photographs, of five people who are surrounded by social “circles” – friends and family whose respect, encouragement, and love gives them a sense of belonging in the world. 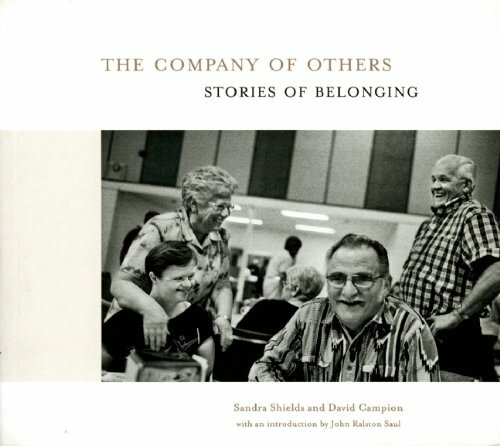 In an era in which isolation and loneliness are widespread in our communities, the stories told here are profoundly inspiring, giving hope to anyone who is or knows a person who has been excluded from living a full and meaningful life. This is not a book about helping others rather a proposal for a better way of living together in community. Writer Sandra Shields and photographer David Campion fuse creative non-fiction and documentary photography in a beautiful narrative approach to contemporary issues providing an extraordinary and moving book about the transforming power of community on “vulnerable” individuals and how the results enrich us a society.